For those of you who think that the muscle car era ended in 1970, let this 1971 Chevelle SS454 serve as proof to the contrary. 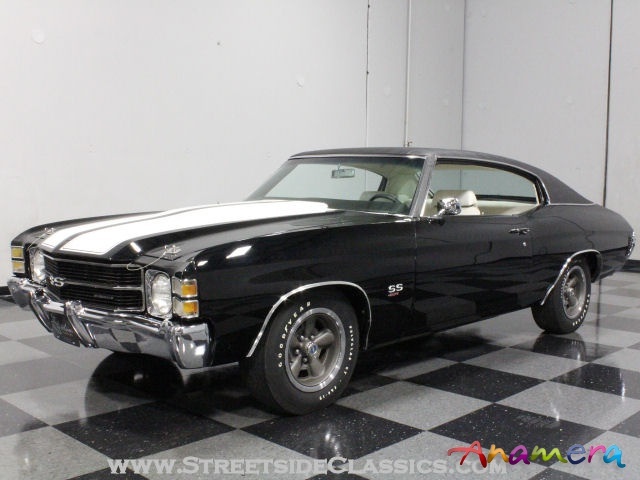 Numbers-matching, heavily documented, brutally fast, and exceptionally well-finished, this incredible LS5 Chevelle stalks the streets like the muscle car era never ended. 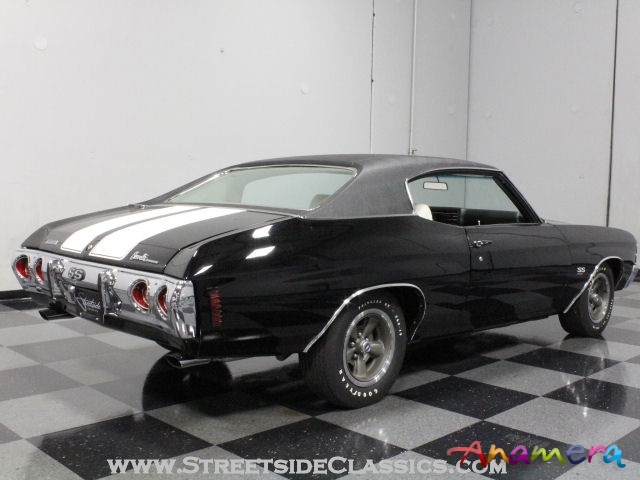 According to the reproduction window sticker and build sheet, both of which come with the car, the only major deviation from stock on this amazing Chevelle is the color. However, given that the factory painted it Classic Copper, it's kind of understandable that during the bare-metal respray that they might want to show off a bit. 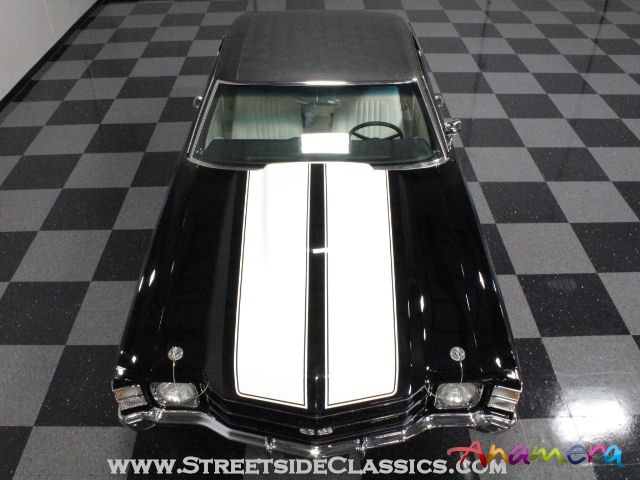 So it was treated to basic black, and nothing looks better on a big block Chevelle than this formal tuxedo of a paint job. It is, as you'd expect, extremely nice and since they knew they were doing a color change, they went the extra mile to get it straight. 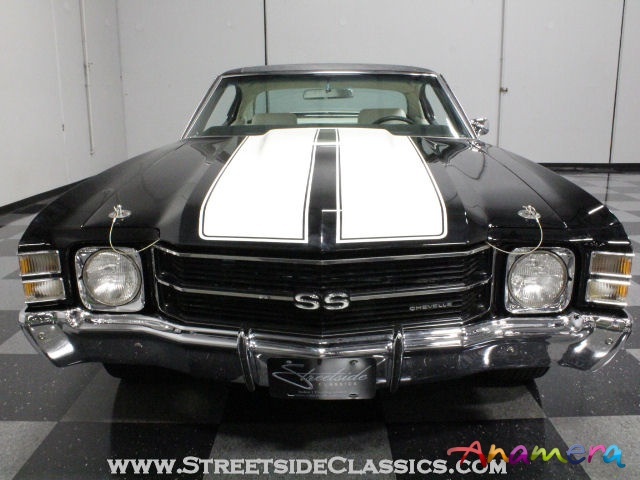 White SS stripes are beautifully applied and belong on this car, which is unquestionably a real-deal SS454. 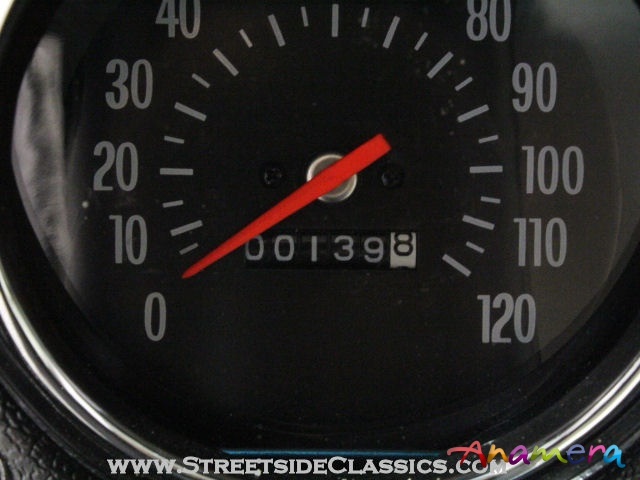 It shows only the most minor signs of use, but there's no question this car was built to show off and aside from the inevitable small nick here and there, the sucker looks ready for competition at the highest levels. It also wears a correct black vinyl roof, which was how it came originally, and the replacement piece fits extremely well. Nice chrome, new emblems, polished stainless, and all the other little details are sharply detailed as well. 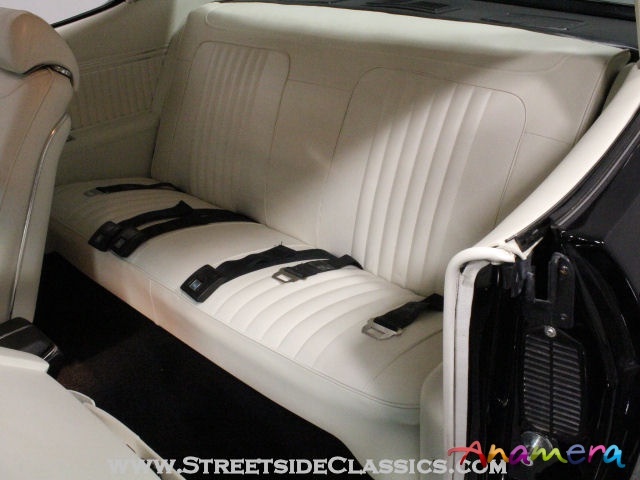 The car also came with Sandalwood interior, which has been swapped to white for great effect against the black paint. 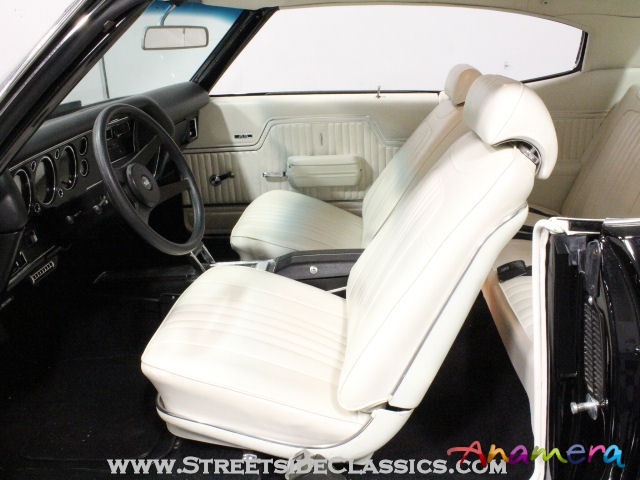 The seats are blindingly clean, but it's not overwhelming thanks to black carpets and a matching dash, which invert the exterior colors and give it a very inviting look. 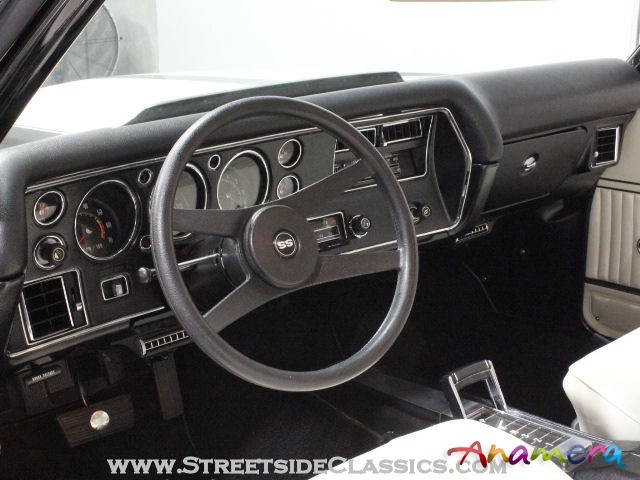 Given the car's pedigree, there are no major modifications or alterations inside, just nicely restored components that more than live up to the standards set by the exterior. Bright gauge faces (including a factory tach), an almost flawless steering wheel, and a center console make it feel factory-fresh inside. 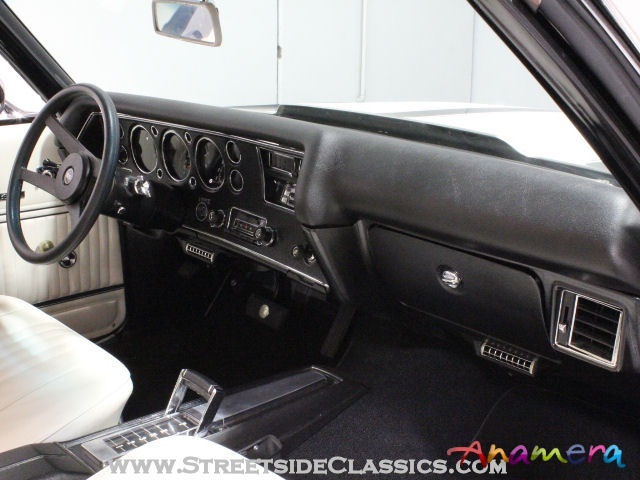 That window sticker I mentioned also includes a rather lengthy list of options, including factory air-conditioning, an AM/FM stereo radio, rear window defroster, tilt steering column, and a remote-control rear view mirror. 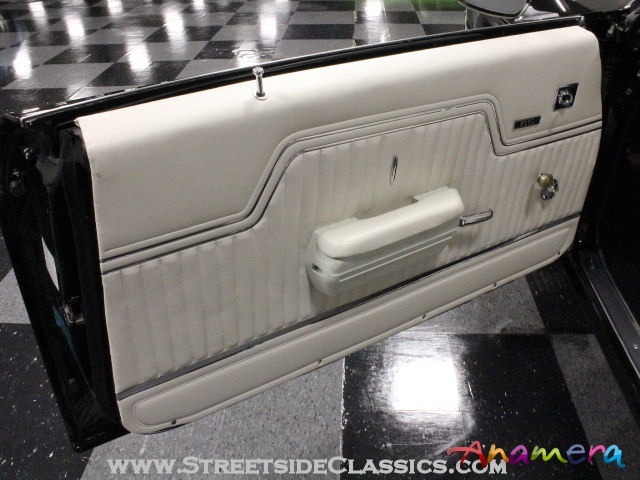 Aside from the door panels showing a little bit of age, the interior is as nicely preserved as the interior, including the trunk which is properly finished with a correct mat and full-sized bias-ply spare. 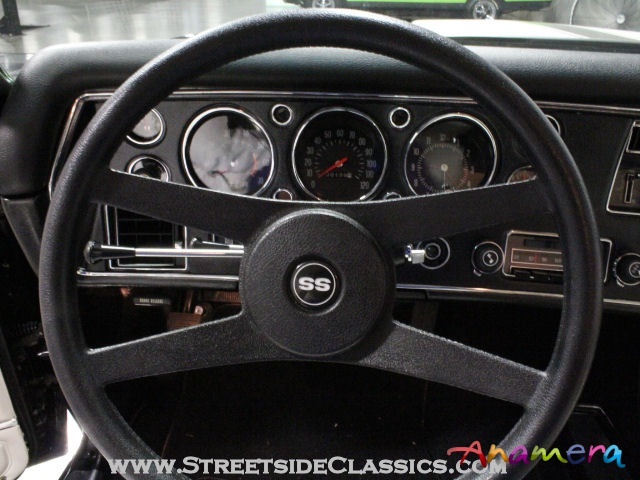 The LS5 454 cubic inch V8 cranked out a stout 365 horsepower in 1971, yet was user-friendly enough to run power steering and A/C, making it the best of both worlds. 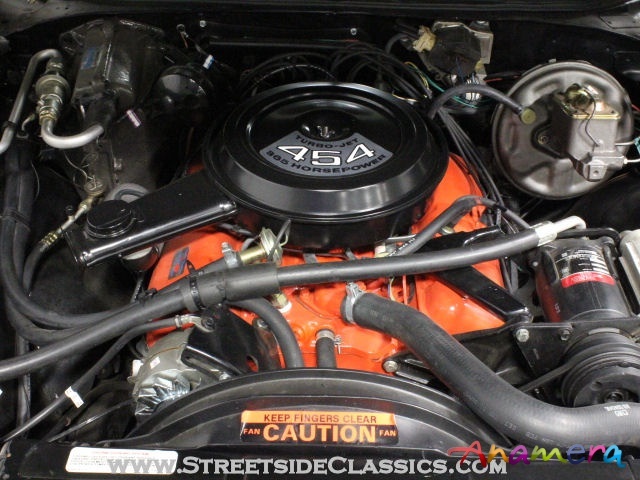 Highly detailed, fully rebuilt, and numbers-matching, the engine has limitless reserves of torque and is just a quick wipe-down away from being ready to pop the hood at a show. Power steering and brakes are included, and the TH400 3-speed automatic transmission shifts without hesitation and powers a 12-bolt rear with Positraction. 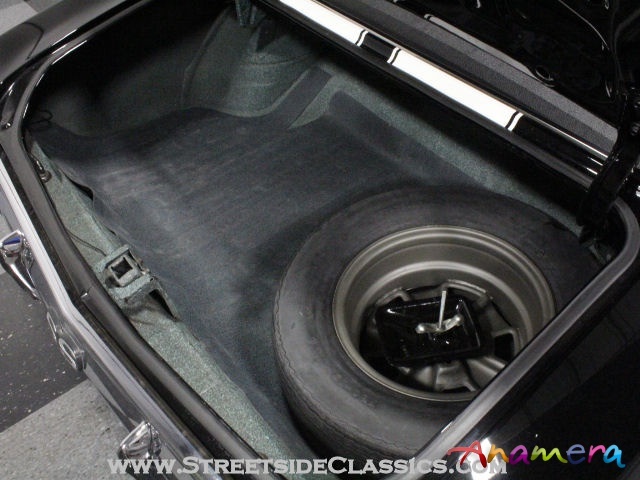 A detailed chassis shows quite well and includes a new dual exhaust system that sounds just right. Gorgeous factory SS wheels are arguably the best-looking OEM hoops of the era and carry F60-15 Goodyear Polyglas tires for a showroom-correct look. 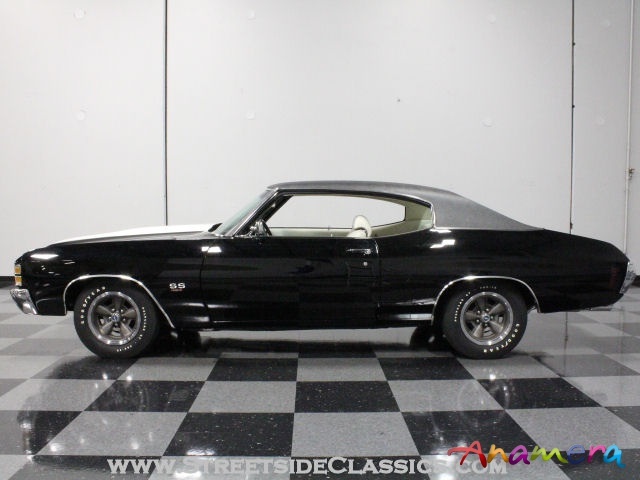 Simply stunning in every way, fully documented and highly pedigreed, this is the Chevelle that you've been waiting for. And because most guys foolishly think the horsepower wars ended in 1970, it's a lot more affordable than some of its older siblings. Call today!